Home Mom Life How You Can Help Your Favorite Blogger as a Friend, Family Member, or Follower! 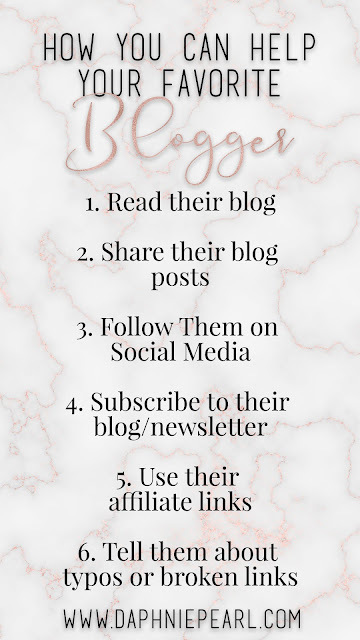 How You Can Help Your Favorite Blogger as a Friend, Family Member, or Follower! 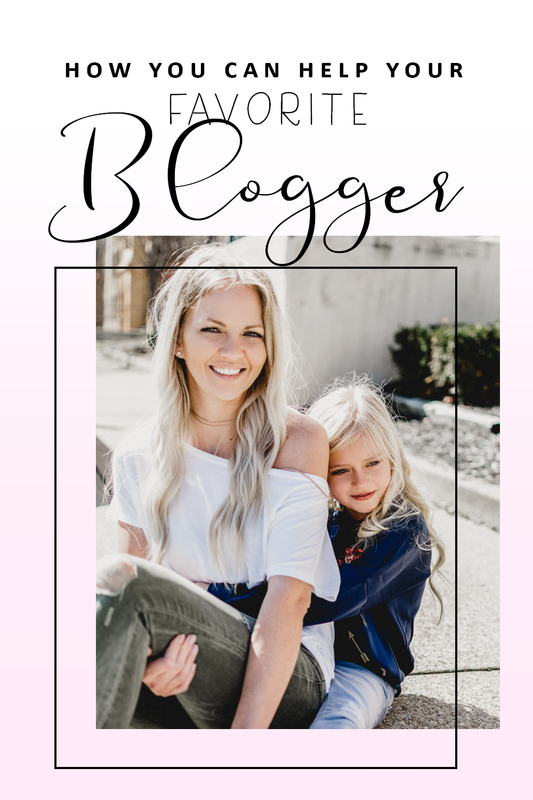 When I started blogging last year I got a lot of questions from family and friends asking first what it's all about and then what they should do to help support my blog. Chances are, you have a blogging friend that has gotten the same questions..so I am going to explain why I started a blog and what you should do as a follower, friend or family member to help your favorite bloggers! Blogging is not only a way to get your thoughts and ideas out there, but also to review products and experiences with your followers. We also use it to show our outfits and where you can buy them. Free? No. In exchange for posts we are paid for the work that we put into taking the time to try the product, capture some great images, write out a blog post and promote it on social media. It is actually quite a bit of work when you look at the time and energy put into it. I only agree to write reviews for products that Daphnie or I genuinely liked and in the past have returned items that we did not like or ended up not being something that we wanted to put our name behind. Sometimes I share affiliate links, which basically link to a different site where you can purchase the item I'm referring to. If you were to buy the item, then I would get a commission for that sale; usually it's not very much, could be just a few pennies. I was so excited when I got my first one at a whopping 24 cents. Hey it was a start! 1. Read their posts, leave a comment or just browse their blog. The more views a blog post gets, the better! 2. Share their posts! If you liked something that they posted, share it! Facebook, Twitter, Pinterest - it doesn't matter where as long as you link back to the article on the blog. 3. Follow them on social media and like/comment on their social media posts. I typically interact with my followers on Instagram, but I post regularly on Facebook, Twitter, Pinterest and Tumblr. Oh! and we can't forget Daphnie's YouTube channel! 6. Tell them about typos! If I make a typo or don't finish a sentence or thought, please let me know! I'm usually blogging in the evening after working all day and trying to get Daphnie in the shower and off to bed, chances are I'm super distracted and totally missed it. Along with typos - if any links aren't working or something isn't rendering correctly when you pull up the blog - I'd love to know about all of these things. 7. Visit their blog before shopping on Amazon! I recently realized that if you visit a blog, click their affiliate link to Amazon and then shop - no matter what you are shopping for or buy - if you get to Amazon through their link, they will get a small commission for whatever you buy on Amazon! 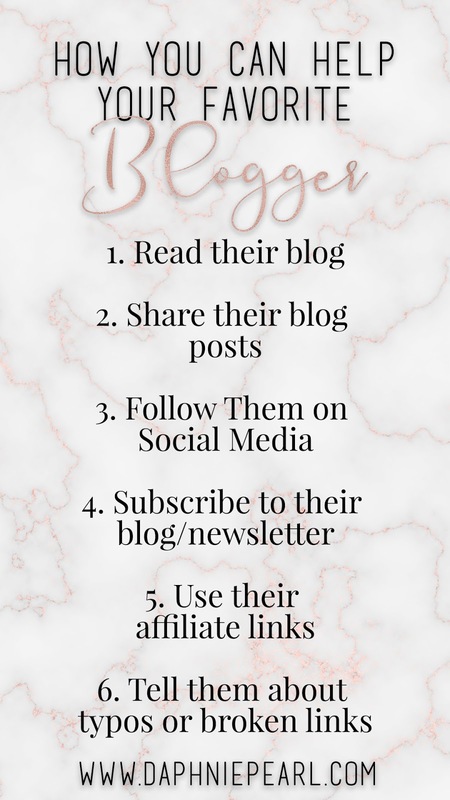 Now that you know all of the ways you can help out your blogger friends, I hope they see a lift in their traffic and interaction! This blog has been a huge blessing, what started as a hobby in photography and fashion has turned into so much more! With my husband being a full time student, the compensation that I get from blogging has helped by making up for the lack of his income and I truly appreciate every view, like and comment! Great post! I’m going to share!